1- Biomicrofluidic systems for the isolation of tumor-derived material from body fluids, nanobiosensors for the multiplex characterization of cancer biomarkers, and their integration in organ-on-a-chip 3D models. Lead by Lorena Diéguez. 2- Development of optical technology contributing to answer outstanding questions in the life sciences. Lead by Pieter de Beule. The widespread availability of a variety of medical imaging technologies has constituted one of the driving forces behind the revolution in medical diagnosis over the last century. As of today, disease diagnosis often results from a combination of medical examinations that present a multiplexed view of the patient’s medical condition to the medical doctor. Similarly, the development of new medical treatment procedures has benefitted and will profit greatly from the widespread availability of new advances in microscopy that provide crucial new insights into human cell biology. These advances are spread over the realms of optical, electron and Scanning Probe Microscopy (SPM). The Applied Nano-Optics Laboratory team has developed a new variant of combined microscopy, based on a fluorescence optical sectioning microscopy module and atomic force microscopy (AFM), a well-known variant of SPM. By creating a time independent fluorescence excitation light illumination of the AFM cantilever, we enable for the first time the simultaneous recording of fluorescence optically sectioned images and various AFM recording modes. 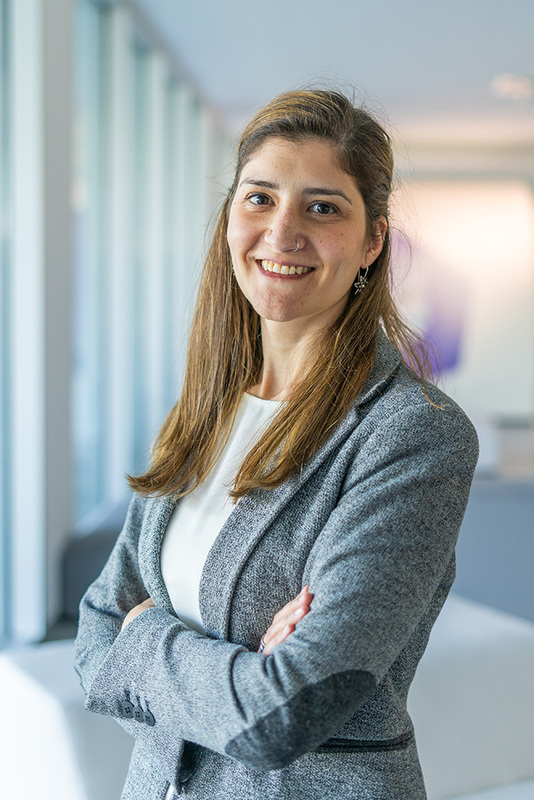 We envision that this development will have a significant impact in the study of live-cell signalling processing in cellular biology and are currently exploring this with the team of Prof. Sandra Paiva at the University of Minho. Miranda A, Martins M, De Beule PAA. Simultaneous differential spinning disk fluorescence optical sectioning microscopy and nanomechanical mapping atomic force microscopy. Rev Sci Instrum. 2015; 86(9):093705. Miranda A, Martins M, De Beule PAA. Simultaneous Advanced Microscopies for Live Cell Signaling Dynamics Investigations. Biophys J. 2016;110(3):517a. Rosana Alves, Daphné Dambournet, Alexander Sorkin, Adelaide Miranda, Pieter A. A. De Beule, David Drubin and Sandra Paiva. Characterization of intracellular trafficking of nutrient transporters using combined fluorescence optical sectioning and nanomechanical mapping atomic force microscopy in mammalian cells. XIX. Annual Linz Winter Workshop. 3-6th February 2017. 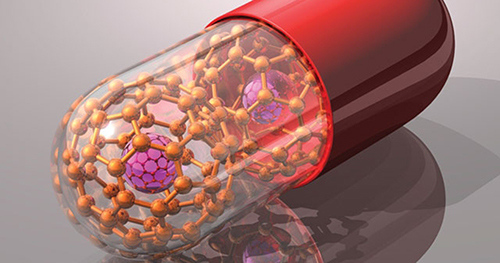 Advances in Single-Molecule Research for Biology & Nanoscience, Linz, Austria. Endocytosis, the taking in of matter by a living cell by invagination of its membrane to form a vacuole, and exocytosis, the process of vesicles budding off membranes for the transport of membrane bound secretory vesicles to the extracellular matrix, exemplify fundamental processes in biology. In-vivo detection of both exo- and endocytosis currently represents a formidable challenge to image capture technology due to the speed of the event, the size of the lipid vesicles and optical contrast available. This project aims to introduce an exact electromagnetic theoretical model for the quantitative understanding of how exo- and endocytosis is observed with video Differential Interference Contrast (DIC) microscopy. In particular, it focuses on the fundamental understanding of how lipid-induced optical anisotropy influences the microscopic observation of exo- or endocytosis. For this project we gratefully acknowledge aid received through the SCATMECH polarized light scattering software library developed by Dr. Thomas A. Germer at NIST. De Beule PAA. Surface scattering of core–shell particles with anisotropic shell. J Opt Soc Am A. 2014; 31(1):162. Dylan Marques, Adelaide Miranda, Ana G. Silva, Pieter A. A. De Beule. 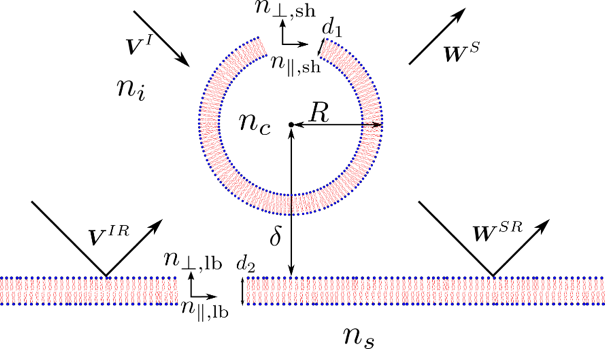 Optical scattering of cellular exo- and endocytosis. XIX. Annual Linz Winter Workshop. 3-6th February 2017, Advances in Single-Molecule Research for Biology & Nanoscience, Linz, Austria. We have also introduced advanced ellipsometry for the detection of protein adhesion to nanoparticles deposited on a substrate. Thereby, we propose ellipsometry as an alternative to standard Surface Plasmon Resonance detection platforms for monitoring protein surface adhesion. 5- Microsystem platforms for early cancer diagnosis & disease progression monitoring. The project will focus on the study of AFM cantilver bending upon excitation with fluorescence light; generating recommendations for designing optimal AFM cantilevers for combined fluorescence – AFM microscopy, and determining heating induced by AFM cantilevers excited by excitation light. The project aims to develop a system combining Structured Illumination Microscopy with Atomic Force Microscopy and apply it to cellular biology questions. The main goal of the SAM Project is to develop new technology that combines Atomic Force Microscopy in liquid and superresolution fluorescence microscopy and enable simultaneous data acquisition. This new technology will be applied to the investigation of cellular nutrient and metal transporters. INL: Pieter De Beule & Catarina Moura. Acute myeloid leukemia (AML) is the most common form of acute leukemia in adults that, although having favourable outcomes for younger patients upon receiving treatment, has a very poor prognosis in the elderly. After treatment with chemotheraphy, even patients that clinically achieve Complete Remission (CR) can relapse through the persistence of Minimal Residual Disease (MRD), having fatal consequences. The low sensitivity of current diagnostic technologies based on flow cytometry and bone marrow biopsy often prevents early detection of MRD, while being highly invasive and costly. Accurate and early diagnosis of MRD would allow the application of appropriate theraphy, improving dramatically the prognosis of the patients. Thus, the scope of this project is to discover new biomarkers of AML through Next Generation Sequencing, and to design, fabricate, test and optimize new Lab-on-a-chip systems based on Surface Enhanced Raman Scattering and microfluidics for early detection of MRD in AML. The project aims at developing an innovative in vitro diagnostic system based on Key Enabling Technologies for early detection of Minimal Residual Disease in Acute Myeloid Leukemia. INL researcher: Lorena Diéguez, Sara Abalde-Cela & Alexandra Teixeira. INL researchers: Pieter De Beule, Adelaide Miranda & Mariana Carvalho.